Using storage is the best way to ensure that your company’s products, equipment and materials are safe and secure. While many buildings have storage spaces, there is no guarantee that these provisions were made to give 100% protection from damage and theft. At Safe Removals, our storage units were made to resist all weather and damage issues. And our facilities have state of the art security measures. And while most commercial rental spaces come with a 12 – 24-month lease, you won’t have that issue with Safe Removals. You can store with us for a long time or just a short period of time. We have a range of business and commercial storage services that make us London’s number one for business storage. This includes several specialist services, like our safe removals and installation service. The Safe Removals teamtake on every job with a drive to deliver excellent customer service. Second-best isn’t in our vocabulary. We always turn up early with an aim to complete everything on time. We are specialists in business storage and removals services, and there is no job we can’t do. No matter what your company’s storage needs are, Safe Removals has the right service for you. We split our storage services into two categories. Container storage and self storage, and there are a few key aspects of both services to consider. Container storage is the cheaper option because people tend to use it for long-term storage with less need for regular access. Self storage is more expensive, but you get free access during business hours with no limitations for the number of visits. Container and self storage both provide your business with complete security from damage or theft. This would be ideal for companies that need to safeguard products that are valuable and can easily sustain damage. 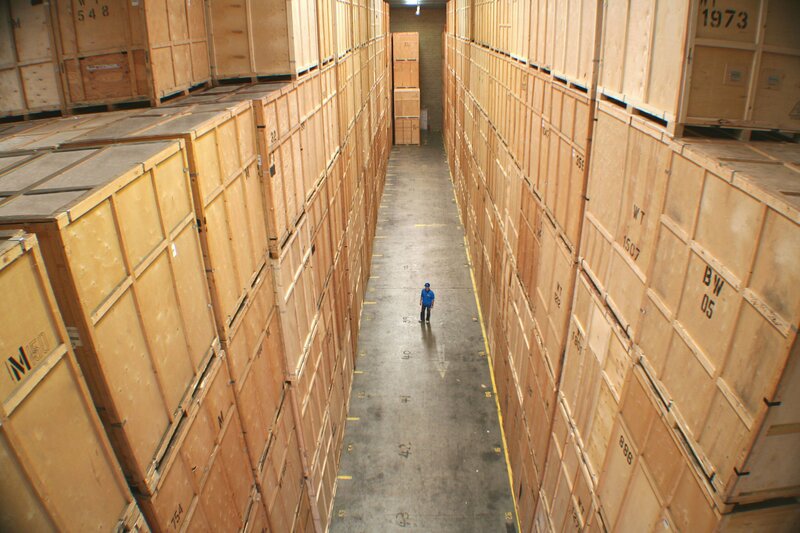 Storage is perfect for companies that have limited or no storage space. For some smaller construction companies, having larger premises with ample storage space doesn’t make financial sense. Rather than pay the high costs of London’s commercial rent, storage offers a cheaper alternative. Safe Removalsworks with hundreds of businesses every year in London. We’re known as being specialists for commercial removals and storage services in various industry circles. Many consider us one of their sub-contractors because of our working relationship. One of the things we believe in is delivering the best service possible for a price everyone can afford. We don’t think that paying a reasonable rate should mean an average level of service. It’s possible to have both, and we’re living proof of that. It’s the Safe Removals ethos that doing an excellent job will secure loyal customers, and this is something we guarantee is true. Safe Removalsis a member of an elite network of removals and storage providers called the Master Removers Group. This collective of the best removals and storage companies in the UK sets the standard in our industry. Being part of this network of companies gives us access to the whole of the UK. Additionally, we have partner companies with depots throughout the UK. Safe Removals number one priority is customer service. We work hard to ensure we meet our business customers removals and storage needs. Contact ustoday to speak about our range of services.